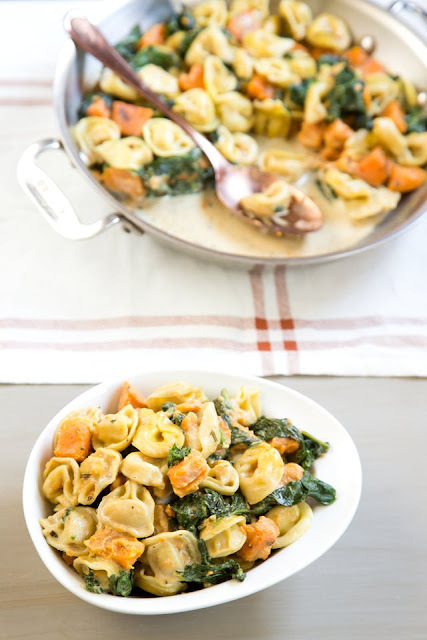 One-pot pasta recipes have been making their way into our kitchens with increasing regularity over the past few years, and with good reason — it seems like such a small thing, but nixing that big pot of boiling water somehow seems to make weeknight dinners that much easier. And this might just be my wishful thinking, but it feels like the more vegetables you throw into the skillet with your pasta, the better the dish tastes in the end. 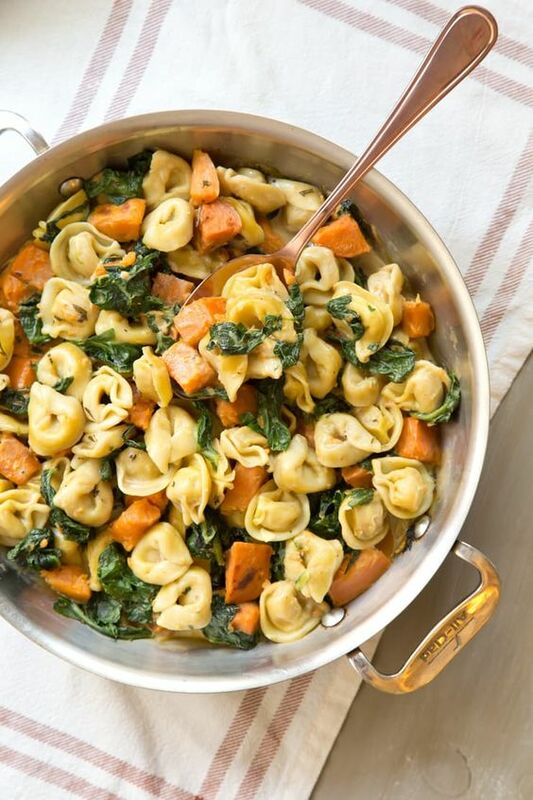 0 Response to "Creamy Skillet Tortellini with Sweet Potato and Spinach"